Equipment associated with air sparging applications often start with a blower or compressor. Some of the common types of such equipment include reciprocating compressors, rotary claw compressors, rotary lobe blowers, regenerative blowers, and more. Different types of compressors and blowers generate varying levels of vacuum and air flow. If you are looking to get top-notch pumps and blowers for the air sparging compressors industry, then look no further than Airtech Vacuum Incorporated. Air sparging is the process of injecting pressurized air directly, and in a geologic formation, into contaminated groundwater. It is designed to supplement biodegradation and volatize contaminates. Several instruments are often used when it comes to air sparging. For example, instruments that measure air temperature, percent relative humidity, dissolved oxygen, and air velocity are needed. Operators are also known to use pressure transducers and magnehelic gauges to determine influence and/or changes in pressure levels in monitoring wells. Depending on the type of blower or compressor you choose, you may need to get an additional intake particulate filter to protect it from debris, dirt, and dust. You can achieve quiet operation by using an exhaust silencer as well. Do note that some compressors feature high discharge temperatures. In that case, you need an after cooler to prevent the PVC piping from melting. Next, control panels are often needed to operate compressors and blowers. These controls can range from a simple on and off control to more advanced controllers that feature programmable logic and remote telemetry. Airtech Vacuum Incorporated has the ability to design, build, and troubleshoot your air sparging compressors. 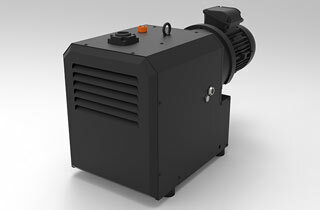 Why Choose Airtech Vacuum Incorporated For Air Sparging Compressors? Founded in 1892, Airtech Vacuum Incorporated is a leading manufacturer of a wide range of blower and vacuum technologies, including rotary vane pumps, high pressure regenerative blowers, oil-free vacuum pumps, and more. With the help of our dedicated team, these technologies are manufactured with utmost care to serve your industry’s needs. Our vacuum and pressure air sparging compressors can be easily installed and operated plus they are loaded with features that will match specific requirements. Our company and these products are certified by ISO, UL, CE, CSA, and RoHS. Each high quality product from Airtech is carefully engineered and designed by our team of experts. Viewing each situation as unique, we analyze it first before recommending a product for your use. 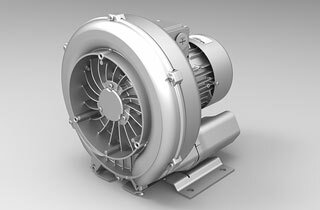 We have all sorts of high pressure regenerative blowers and vacuum pumps offered at the most competitive rates you will find in the market. Not to forget the convenience of shopping from us through our online shop. Start browsing through our inventory today and source for high quality vacuum and pressure for air sparging compressors with ease!